Growth form: Perennial grass. Flowering. Apr. Status: Native. Common. Also recorded: E Saudi Arabia. 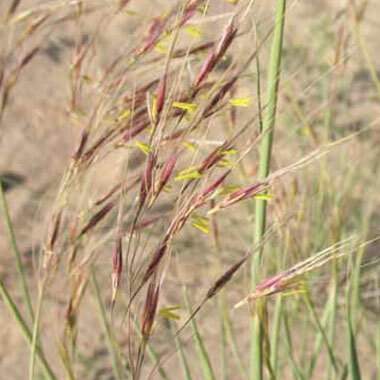 Habitat & distribution: Occasional to locally frequent in shallow sand in wadis and runnels; often within rocky areas. Uses: Eaten by all animals (El Amin). Notes: Recorded as C. aucheri (Boiss.) Stapf by Batanouny, but later apparently redetermined as C. plumulosus (see El Amin, p.128). C. aucheri could also occur in Qatar.